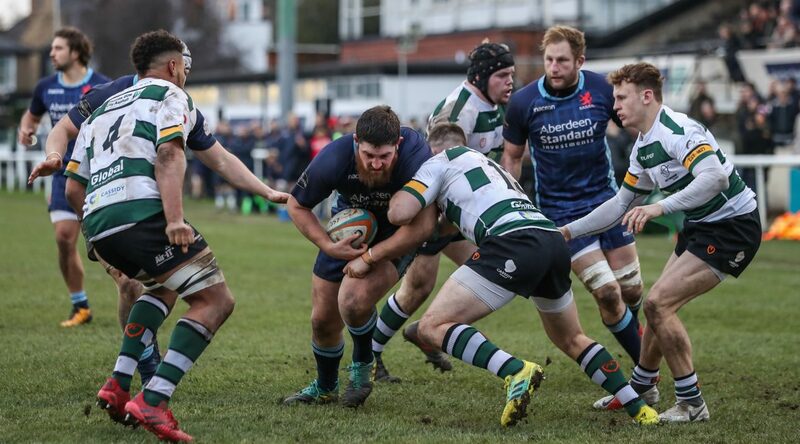 Nottingham Rugby’s difficult start to 2019 continued in Richmond on Saturday afternoon when they were beaten 31-10 by London Scottish. The loss leaves Neil Fowkes’ men without a win in four matches, as his side struggles with several injuries in key positions. Nottingham, who nearly upset league leaders London Irish the week before, broke the deadlock after 10 minutes through Will Millett’s try. The league’s top points scorer, Shane O’Leary, missed the conversion. Nottingham’s early five-point lead was short-lived and their spell in the ascendency was over for the rest of the match. London Scottish withstood the early Nottingham pressure and then found their form, scoring three tries and a penalty in 20 minutes to establish a 17-5 lead as the sides left the field at half time. The previous week’s free-flowing attacking rugby from Nottingham was nowhere to be seen as Scottish’s momentum carried over into the second half. Two further tries from the home side created a mammoth task for Fowkes’ team, who were struggling to get a hold of the match. With the score at 31-5 with 10 minutes to go, it was clear the game was beyond the Green and Whites but they battled to the end to score a try on the 76th minute through David Williams. The conversion was missed. The game ended 31-10 and left Nottingham in a run of three straight defeats in the league. Despite the poor run of form, the Green and Whites still sit in sixth place in the Greene King IPA Championship and with the Championship Cup quarter-final against Ealing Trailfinders on Saturday, the tough start to 2019 has no signs of easing up. Nottingham’s next fixture in the league is a crunch tie with historic rivals Yorkshire Carnegie on Friday 8 February. Advance tickets can be purchased via the club’s ticketing website here.